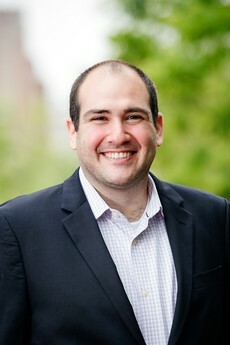 Matthew Eisenberg, Ph.D., is an economist and Assistant Professor in the Department of Health Policy and Management at the Johns Hopkins Bloomberg School of Public Health. Dr. Eisenberg’s research focuses on a variety of economic issues related to consumerism in health care. His work leverages large administrative datasets and quasi-experimental techniques to make inferences about economic issues. For example, his research has examined the effects of “consumer-directed” health plans on health care costs, preventive care use, and the time shifting of care throughout the year. In more current work, Dr. Eisenberg is examining financial strain associated with high deductible plans, the effects of cost sharing on substance use disorder treatment, and the effects of fraud and abuse on Medicare beneficiaries. His research has been published in outlets such as the Journal of Health Economics and Health Services Research. At Johns Hopkins, he mentors several health economics Ph.D. students and teaches a core course in the health economics sequence. He received his Ph.D. from Heinz College at Carnegie Mellon University. Eisenberg, M., Haviland, A., Mehtora, A. Huckfedlt, P., Sood, N., (2017) The Long Term Effects of Consumer-Directed Health Plans on the Use of Preventative Care. Journal of Health Economics, forthcoming. Eisenberg, M., Avery, R., Cantor, J. (2017). "Vitamin Panacea: Is Advertising Fueling Demand for Products with Uncertain Scientific Benefit?" Journal of Health Economics, forthcoming. Avery, R., Eisenberg, M., Cantor J. (2017). “An Examination of Structure-Function Claims in Dietary Supplement Advertising in the U.S.: 2003-2009." Preventive Medicine, 97: 86-92. Haviland, A., Eisenberg, M., Huckfedlt, P., Mehtora, A., Sood, N. (2016). “Do ‘Consumer-Directed’ Health Plans Bend the Cost Curve Over Time?” Journal of Health Economics, 46: 33-51. Avery, R., Eisenberg, M., Simon, K. (2012). "The Impact of Direct-to-Consumer Television and Magazine Advertising on Antidepressant Use." Journal of Health Economics, 31(5), 705-71.